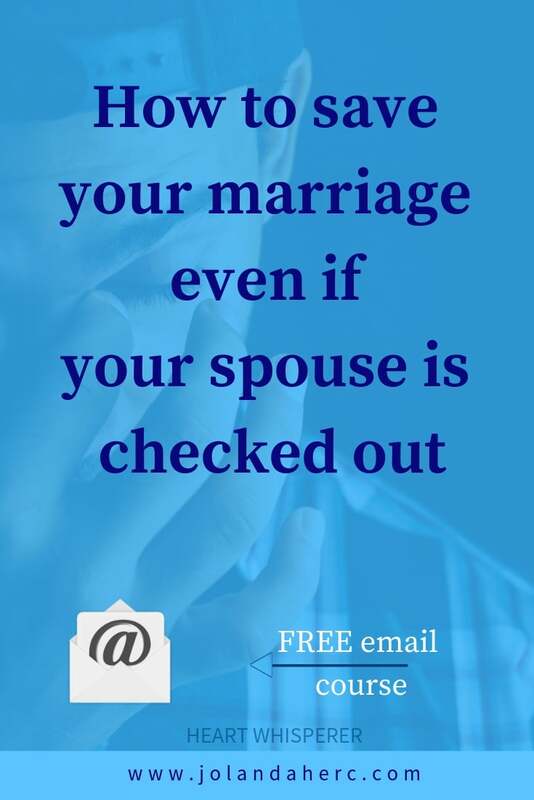 Are you unable to communicate with your spouse? Are unresolved issues discouraging you? 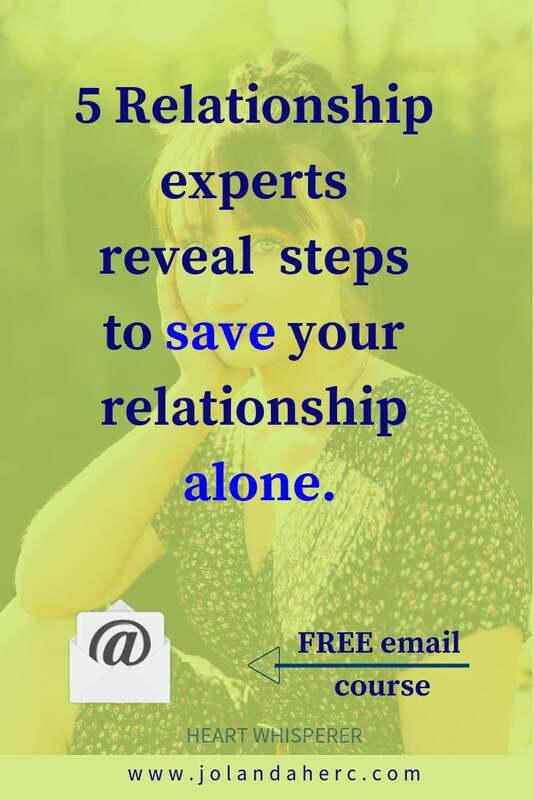 Are you frustrated that your partner won’t participate in solving your relationship problems? Good news! Sometimes One of You, Acting Alone, Can Make All the Difference in Creating a Successful Relationship. You are not dependent upon what your partner does or doesn’t do in order to be happy. 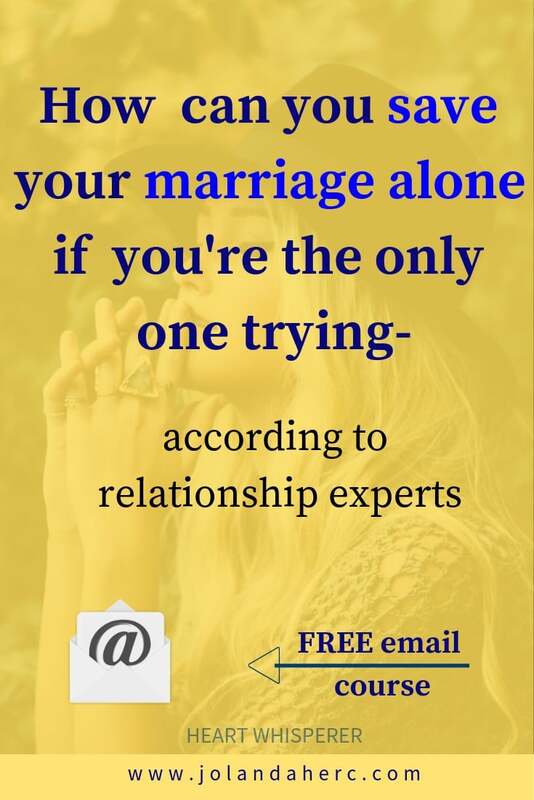 Here are 5 experts, that teaches you, how to save and transform your relationship even when you are the only one trying. Even when your partner sees no reason or no need to work on the relationship, you can still save your marriage. That doesn’t mean that you will change your partner. You will just change yourself and more often than not that will cause the change in your partner too. Working alone on your relationship means working on yourself. By making a shift in how you define your own sense of self, thoughts, and feelings, you can help create the conditions which bring your relationship into a state of mutual harmony, support, and love. the result is often deep relief and sense of peace. The good news is that you can do that lone, without your partner, you don’t need to wait for him to change. What we are doing with the inquiry is meeting our thoughts with some simple understanding, finally. Pain, anger, and frustration will let us know when it’s time to inquire. We either believe what we think or we question it: there’s no other choice. Questioning our thoughts is the kinder way. Inquiry always leaves us as more loving human beings. She also have unsual approach to solving problems. Her advice is: Don’t discuss problems; don’t try to solve problems. It is an illusion to think that if you can solve your problems, you will be happy. Most problems don’t have a solution anyway; they are not problems, but facts of life. Instead of trying to solve your problems, do something to create a harmonious atmosphere in your relationship – right now. Her advice about saving your relationship alone is about how to step into your feminine power, being more of your true self and that will allow men to step into their own true self also. Instead of expecting men to be the hairy version of herself, let him be who he is. Her approach to working on marriage alone is a little bit different. She suggests to see working alone as a way to will inspire your spouse to wake up and recommit to your marriage. One of them is Distance Yourself. Here’s why: when you chase after something, the natural response is for it to run. When you move in the opposite direction, the other’s natural response is to move towards you. Distancing yourself is not a passive-aggressive act, but an authentic and purposeful mental separation that gives your spouse some space they may need. It also has the added benefit of sparking curiosity and renewed interest in you. 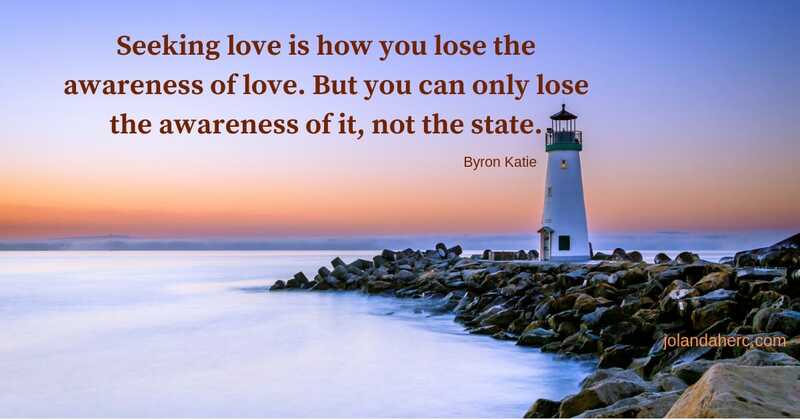 We are naturally attracted to that which we feel eludes us. By distancing yourself, you are giving your spouse a chance to see you in a different light. In her book, How to Save Your Marriage Alone: The Quick Remedy to Stop Your Divorce Kindle, Luise shares her own story of saving her marriage. Her advice is to do the opposite of what you usually do. She compares that with Aikido, where you get strength and energy by blending with the flow of your opponent. It’s about changing yourself because that will cause your partner to see you in a new light. He will see you differently and with that, his behavior towards you will change because of that.